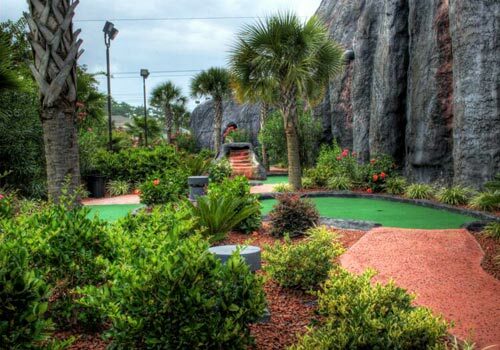 Did you know that there’s a volcano on North Myrtle Beach? 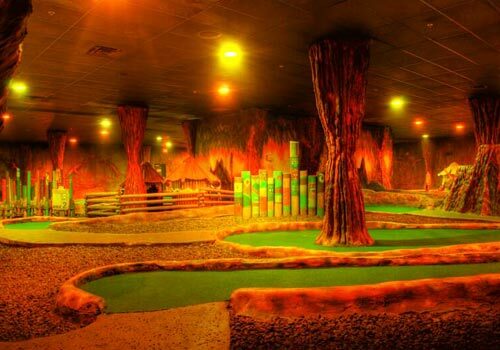 At this miniature golf course, a 50-foot active volcano erupts with fire and steam every half an hour. 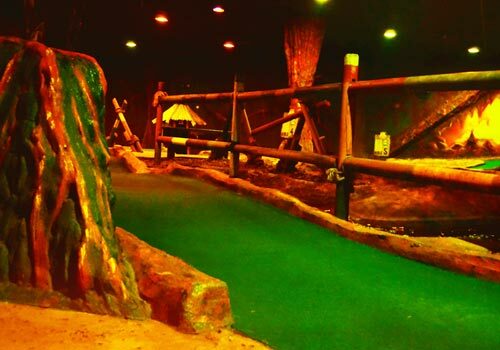 Play 18 or 36 holes of indoor and outdoor miniature golf amusement. 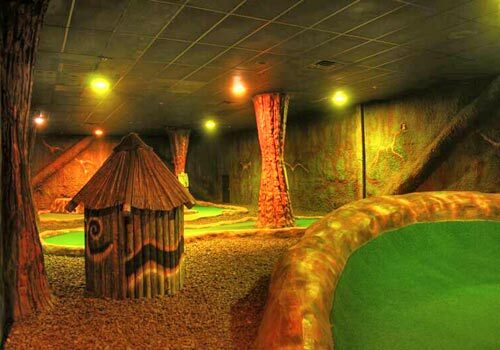 This is a great mini golf option for any family! 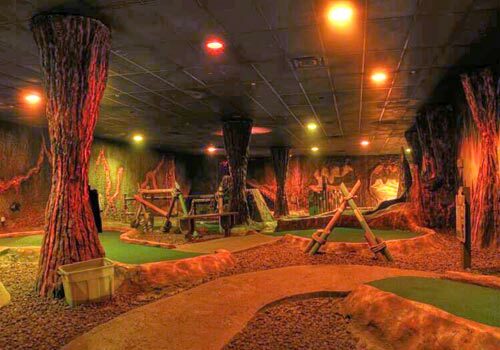 36-hole indoor & outdoor courses. Volcano erupts every 30 minutes. 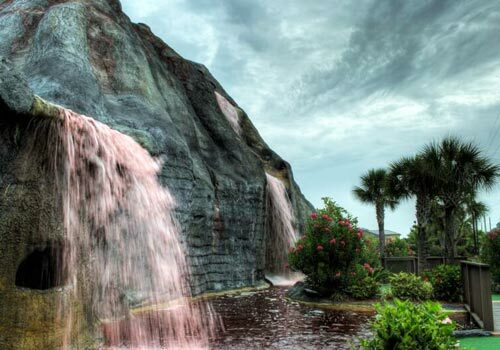 Located in North Myrtle Beach. 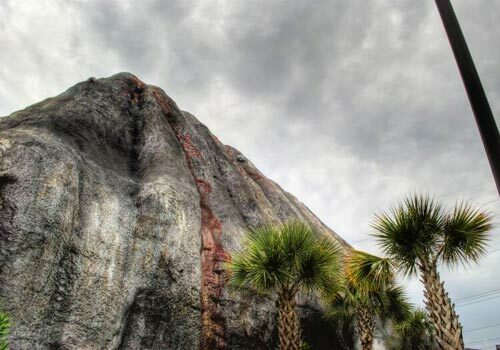 A volcano in North Myrtle Beach? That’s awesome! 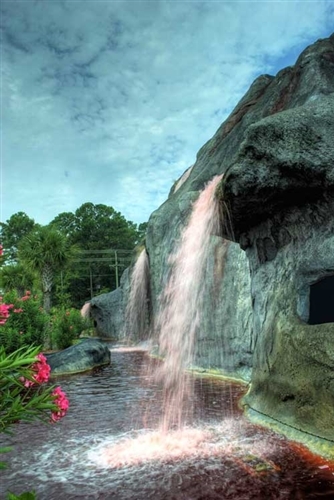 Molten Mountain Miniature Golf course has been home to the only active volcano along the Grand Strand since 2006! 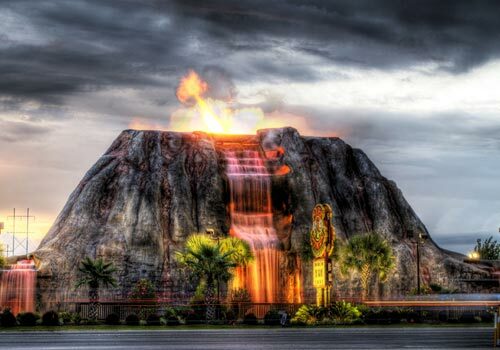 The 50 foot active volcano erupts with fire and steamy fun and excitement every 30 minutes. 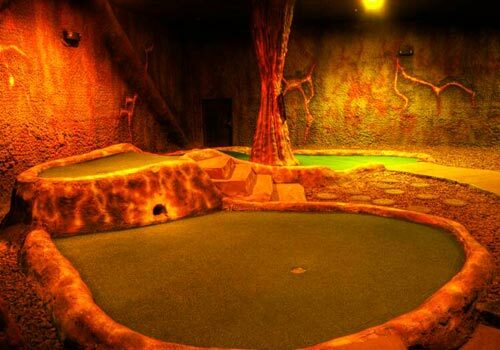 Molten Mountain has a 18 hole all indoor (Air Conditioned) course and a 18 hole outdoor course. Max number of 4 people per Family Pass. 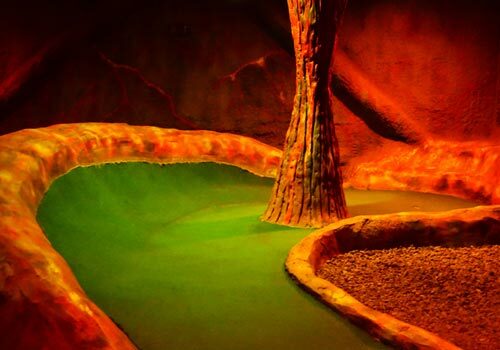 What are the hours of operation for Molten Mountain Mini Golf? Hours of operation vary per season. Please refer to the following schedule for the current hours of operation. December – Open weekends and holidays. 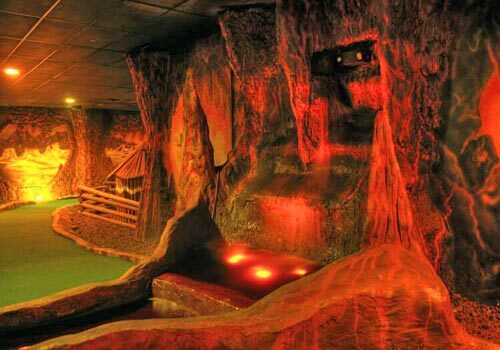 During most rain storms, Molten Mountain Mini Golf will still operate. 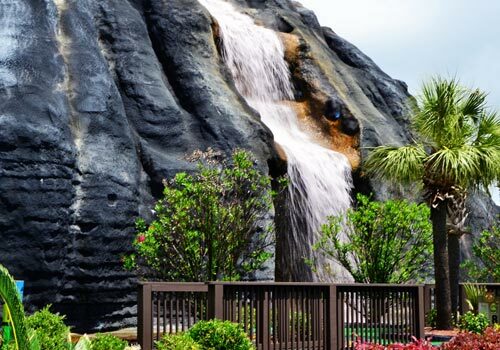 However, in the case of severe or sudden weather, our management will make a judgment call to close the courses for the safety of all guests. Are food and beverages available for purchase onsite? Yes. Our Snack Shack offers a variety of snacks and beverages for guests to enjoy. 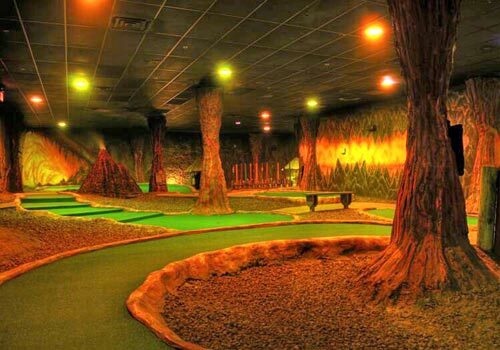 Where is the mini golf course located? 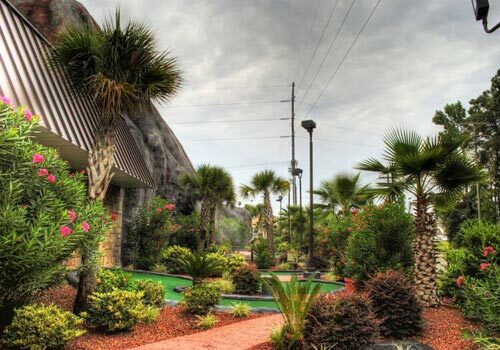 We are located at 1010 Vereen Drive, North Myrtle Beach, SC 29582.